I am one proud (and tired) mama this morning! 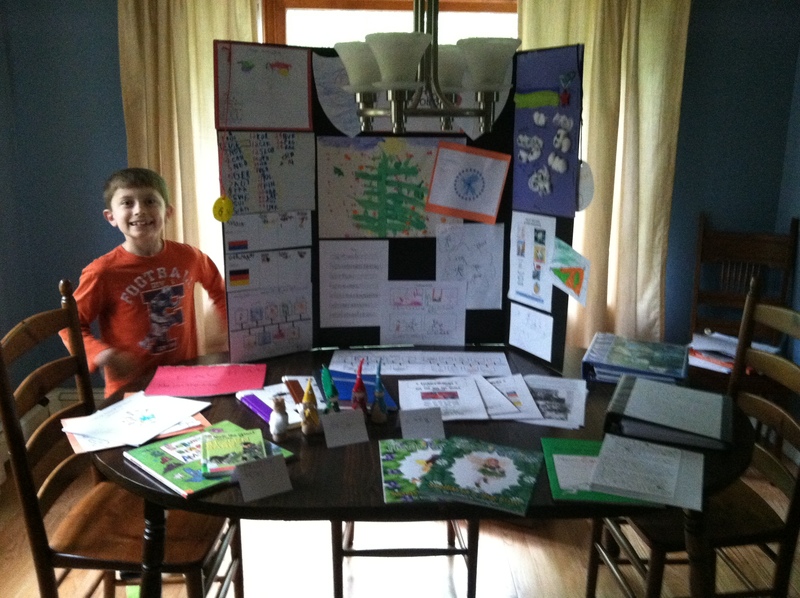 Z’s portfolio night was last night and he did such an incredible job. My mom hosted the evening at her house and we invited Grammy J, Uncle Hal and cousin G. Z has worked so hard over the last few weeks putting together his Video Portfolio and picking out what would be on display. It all came out great but watching him answer their questions with enthusiasm, pride and knowledge had me bursting with pride. It was wonderful to have this chance to look back at all we have done this year. We have accomplished a great deal and have had a really great time doing it. I think I have learned just as much as Z this year, if not more. This homeschooling journey has been a gift for both of us! Thanks Mom for working so hard to make last night so special for Z. Grammy J, thanks for being there to review his work and pass him on to 2nd grade! Chi Chi, Grace and Uncle Hal thanks for being there last night and for being so supportive. 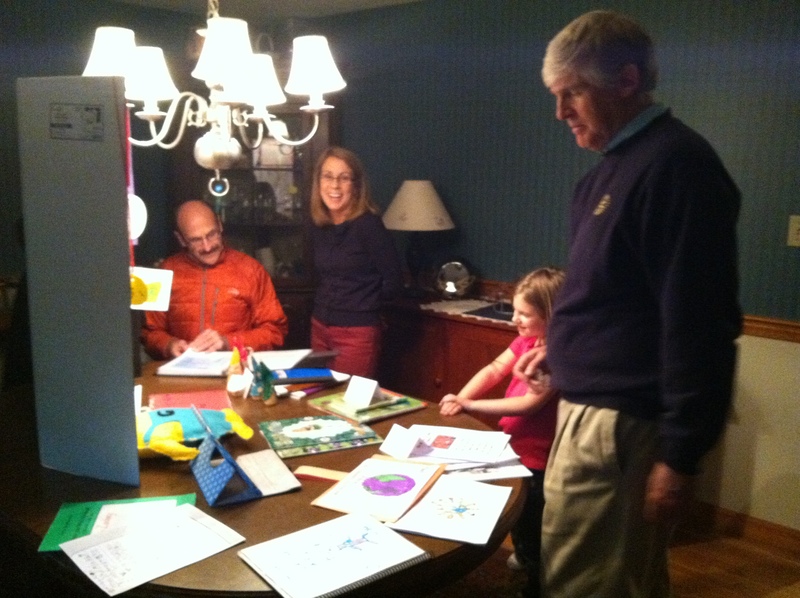 Mimi, Grandpa, Auntie Kristen, Auntie Laura and Auntie Amber thanks for doing the virtual portfolio. We can’t wait to hear what you all think. They say it takes a village to raise a child and that is so true about homeschooling as well. I am so grateful for the supportive village I have around me (you know who you are) and all those teachers that did lessons with Z this year. Lil’C starts her homeschooling journey next fall and I can’t wait to see what is in store for all of us. So proud of you Zach! You too Shmess 🙂 Now it’s summer time! !